Mrs. 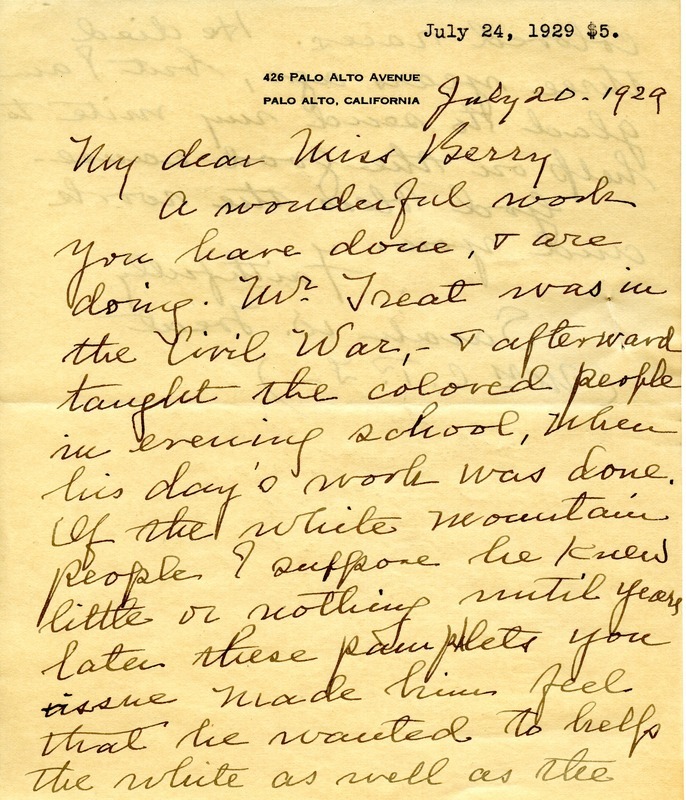 Treat writes to say that her husband fought in the Civil War and then became a school teacher for the colored people. When he heard of the Berry Schools he became interested in helping the white mountain people as well. Although he passed away, Mrs. Treat is still pleased to send her "mite" to help the work. 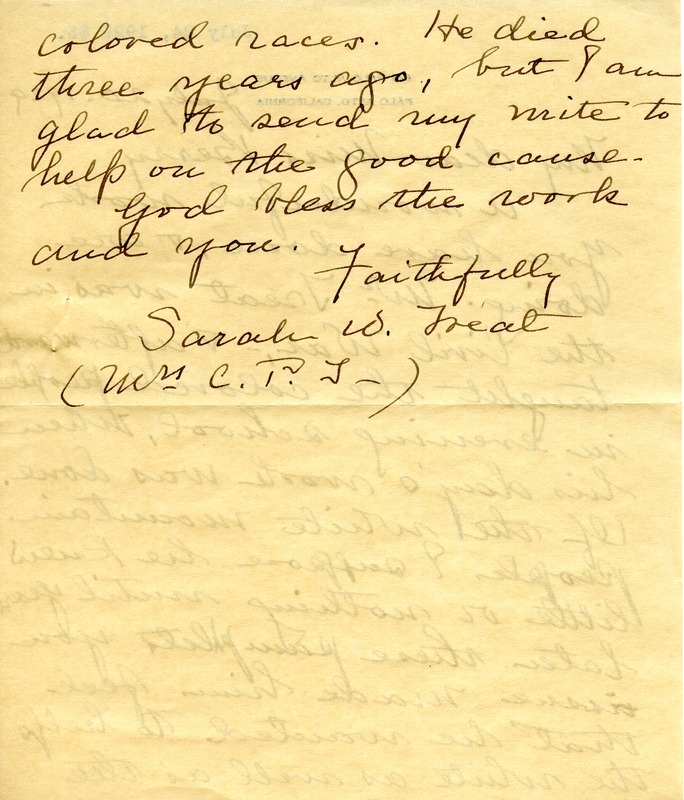 Sarah W. Treat, “Letter to Martha Berry from Sarah W. Treat.” Martha Berry Digital Archive. Eds. Schlitz, Stephanie A., Chelsea Risley, et al. Mount Berry: Berry College, 2013. accessed April 24, 2019, https://mbda.berry.edu/items/show/11170.